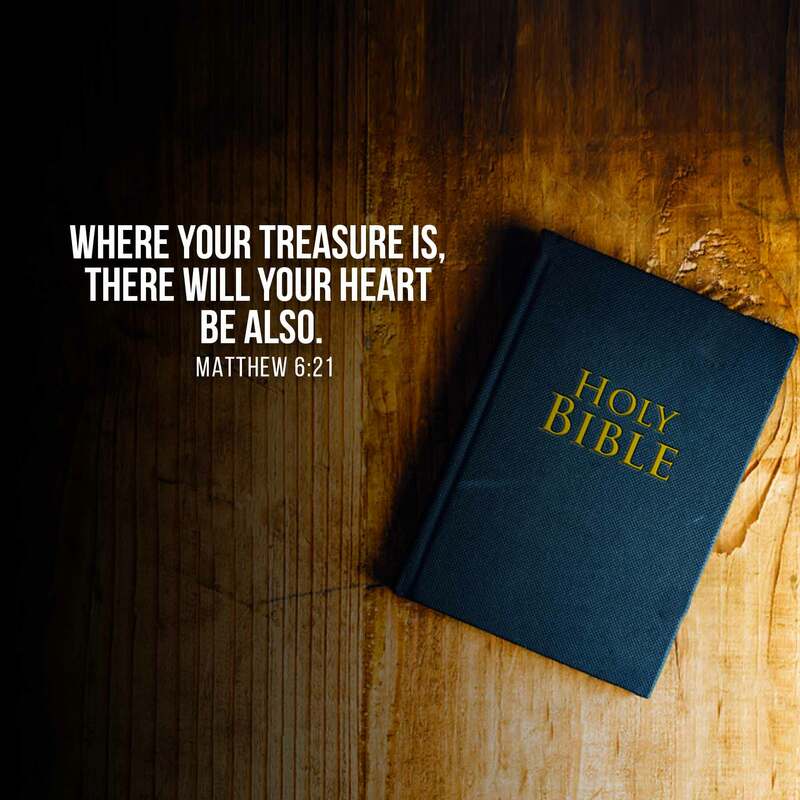 Do not heap or store up treasures for yourselves on earth because it will perish someday but store up treasures in heaven because it eternal secured. That is an abridged version of the verses that preceded our anchor scripture for today. Welcome to the fourth (4) day and I believe you are blessed and encouraged and if you have not been following try and connect back so we can journey smoothly. Today, there are two keywords to deal with: treasure and heart. The heart is a very delicate organ in the human body. It regulates blood activities and keeps us alive. Also treasure is a word that connotes something that is esteemed or valued high. Anything named to be a treasure is something that is not worthless rather precious and priceless. But the word “heart” as stated in the scripture does not entail the physical heart rather it signifies the center or core or main part of a man. It is that spirit of man which is the candle of the Lord, (Prov. 20:27). The writer of Proverbs admonishes that we should guide our heart with all diligence because out of it precedes the issue of life, (Prov. 4:23). King Solomon understands the centrality of the heart in determining the course of our life and gave the instruction so that an attentive sons and daughter will adhere strictly with it and that is with all diligence. Anywhere your heart is, there is what you treasure most. If I told you that I love reading books. It means that I treasure book and that is where my heart goes. Your heart moves in the direction of anything you consider valuable. It might be what people may consider worthless but you value that thing to the core. Then that shows the direction of your heart. Pause for a seconds and ask yourself that thing that you consider most valuable in life and you will see that you might consciously or unconsciously invested most of you time, energy into it. A good number of us worry so much about issues of life that every of our energy is channeled in that direction. It can either be earthly or heavenly. We value anything earthly and this eventually takes our time for heavenly things. Just to meet up with some competition in the world today and considered part of the community. These earthly activities have taken most of our time and less time given to our creator. “not to look the things that are seen – earthly – rather to the things unseen; because the things that visible are temporal but the things that are invisible are eternal” [2 Cor. 4:18]. Therefore seek first His kingdom and every other thing shall be added on to it. Worry less about what is and what not! He that is above is above all things, so cast that anxiety on Him because He cares. Let go of that cares, concerns, worries and anxiety because it will take His place in your heart. And you value it so much that determines the course of your life. Fix your mind on Him.